First make sure you've enabled the integration in the integrations manager under Tools / Quest System Pro / Integrations. 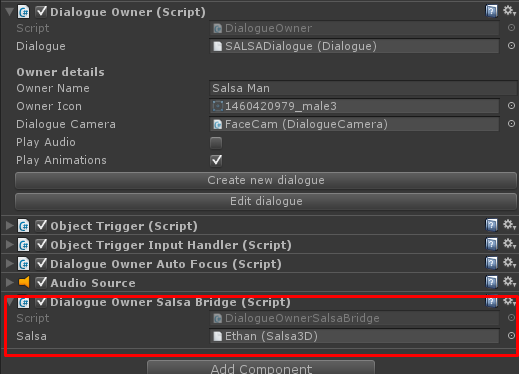 For your DialogueOwners (npc's) add the DialogueOwnerSalsaBridge component. That's it :) - The rest of the salsa configurations can be configured in the Salsa3D component.